Most employers are protected by worker’s compensation laws against any lawsuits by their employees due to any injuries received at work. 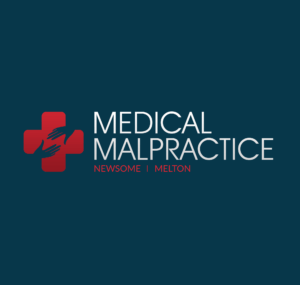 It is possible, however, for an employee to receive compensation for medical malpractice from a third party, if the injuries of the employee are a direct result of that third party. The reason employers cannot be held responsible for any injuries or accidents sustained by an employee at work is because there is legislation in place to protect them. In return for offering compensation to employees for any accidents or injuries that may have caused them harm at work, whether the fault of the employer or not, the employee is in turn not able to sue his or her employer for negligence resulting in those injuries or accidents. This law regarding worker’s compensation is in effect in most states. Therefore, even though a worker cannot sue his or her employer for any injuries sustained on the job, they will receive medical compensation from the employer. It is possible to file a product liability or medical malpractice lawsuit against any third party involved. This will allow the worker to receive additional compensation for their injuries. Because different states interpret who a third party is and the total amount of damages a worker can receive from them, it is wise to consult an experienced malpractice lawyer. The amount of damages received by a worker differs from state-to-state. In some states a portion of those damages will be repaid to the employer and/or go to the workers compensation insurance carrier. There is also a good chance that the workers compensation insurance carrier will help the worker in putting pressure on the third party in order to recover expenses paid to the worker for his or her worker’s compensation. The workers compensation insurance carrier will not receive a portion of the damages if the damages received by the worker are less than the workers compensation that he or she received. Either way, any fees involved with hiring an attorney or filing the lawsuit will be covered by the damages received from the third party, in what is typically referred to as a contingency-fee basis.